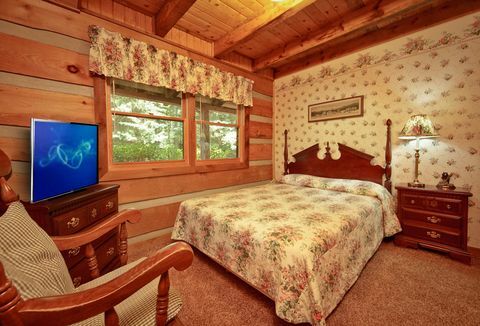 Welcome to the cozy, pet friendly cabin in Pigeon Forge, "Amazing Majestic Oaks," one of several dog friendly cabin rentals in Pigeon Forge offered by Cabins USA! 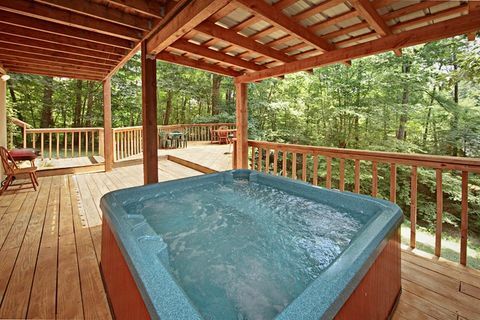 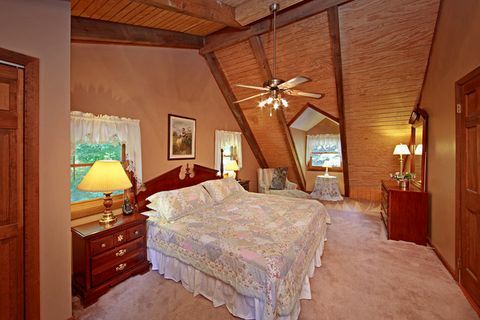 Located in Mountain Park Resort, this private 3-bedroom cabin in Pigeon Forge is situated on a cul-de-sac surrounded by mature trees and beautiful landscaping. 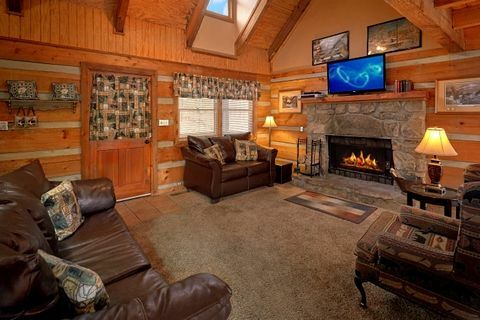 The interior of this pet friendly cabin in Pigeon Forge features plenty of sleeping space, including a king size bed, 2 queen size beds, 2 sets of twin bunk beds, and a sleeper sofa in the living room, giving plenty of space for your pets and up to 12 guests to sleep comfortably. 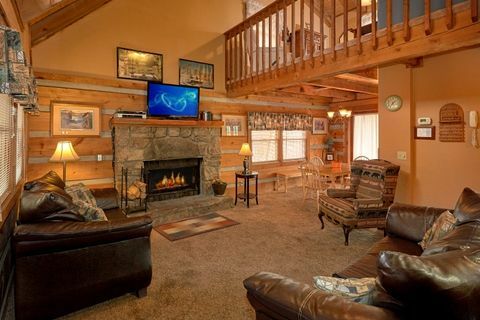 Family members will enjoy these cabin vacation rental amenities: free WiFi Internet, leather furnishings, 2 fireplaces, a very large deck with picnic table, gas grill, large covered hot tub, pool table, card game table and several televisions throughout your cabin getaway. 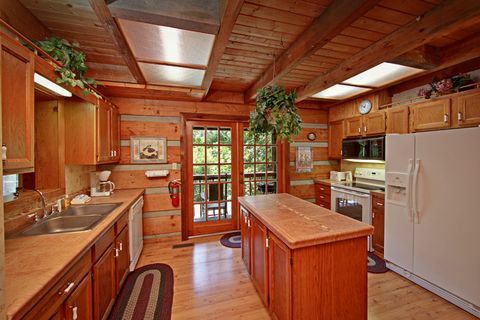 Save your family vacation dollars for the attractions with your cabin's fully equipped kitchen and washer and dryer. 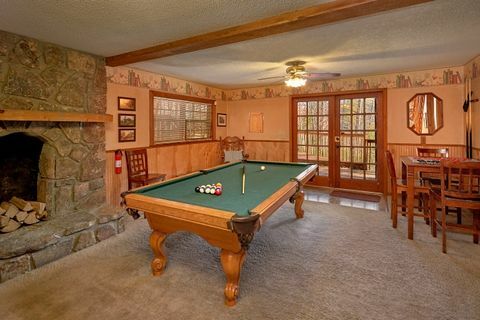 These cost-saving amenities let you spend quality time together in a relaxed Smoky Mountains setting and provide the convenience of not having to spend money or time in a Laundromat or rack up expensive bills at a restaurant. 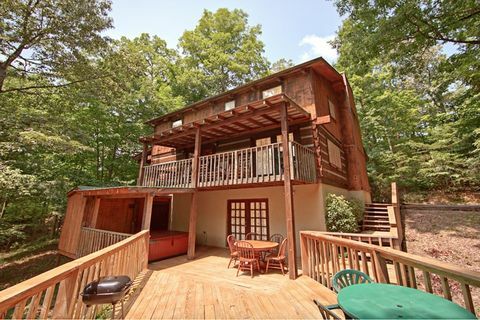 It's not easy to find a cabin in Pigeon Forge with swimming pool access that's also pet friendly, especially one privately secluded and spacious like this property. 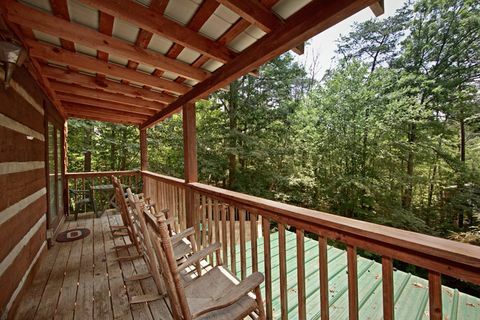 The seclusion found at your 3-bedroom cabin in Pigeon Forge provides the perfect space to escape and relax away from all the action. 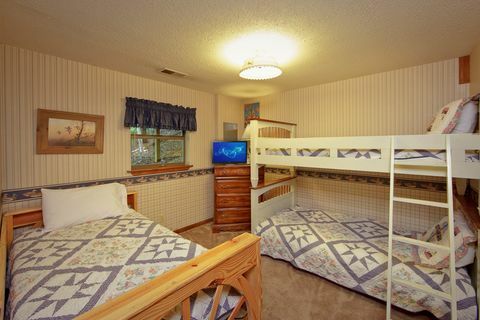 When your family is ready for more adventure, "Amazing Majestic Oaks" is less than a mile off the action-packed Pigeon Forge Parkway with dozens of attractions, mega shopping and plenty of restaurants minutes from your cabin in the Smokies! 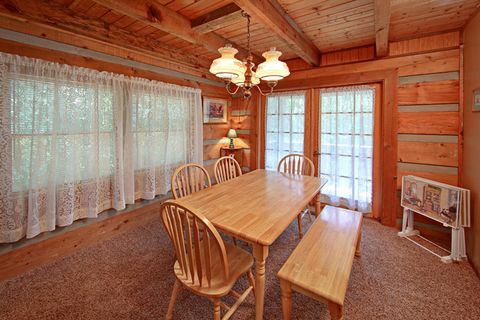 When searching for pet friendly cabins in Pigeon Forge, it's important to find a vacation rental with plenty of space for your furry family members to roam. 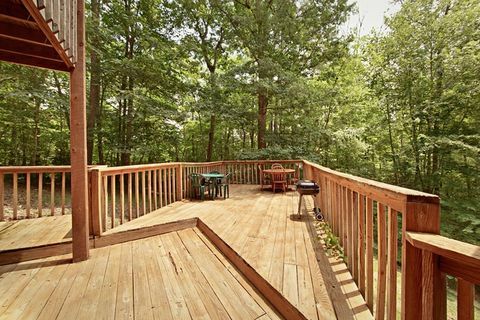 This cabin provides a flat front yard and very large back deck for your family pet's much-needed exercise. 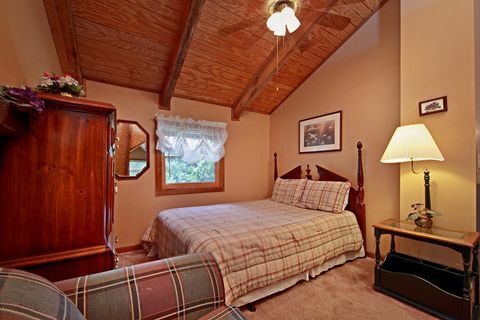 "Amazing Majestic Oaks" is truly the first step to an unforgettable Smoky Mountains vacation for the entire family. 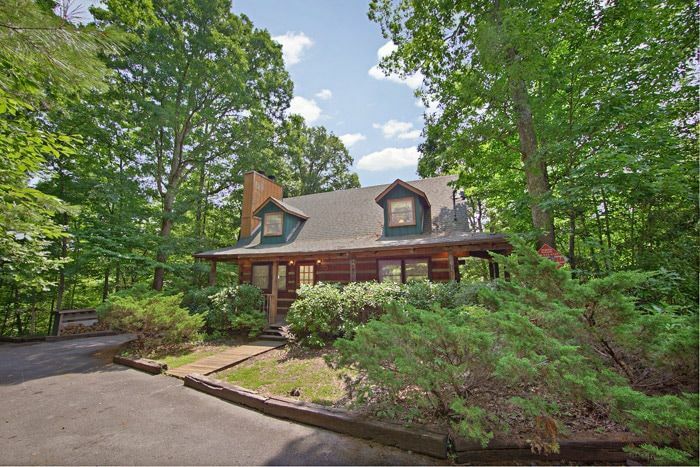 "Amazing Majestic Oaks" lets everyone in your family (both two and four-legged) enjoy the mountain air and beautiful scenery.